The Wolverine Clean Energy Venture plant was a proposed 600 megawatt (MW) power generating station, which would have been located at the bottom of the world’s largest limestone quarry. It was proposed by Wolverine Power Cooperative, a consortium of six Michigan power cooperatives. On May 21, 2010 it was announced that the Michigan Department of Natural Resources and Environment (DNRE) denied Wolverine Power Supply Cooperative’s air quality Permit to Install application. The decision followed a review of the permit application under state and federal law. The Michigan Public Service Commission had advised Governor Granholm that the proposed plant "is not needed" and "would result in an estimated rate increase of $76.95 per month for the average Wolverine residential customer." Based on the Michigan Public Service Commission advice, G. Vinson Helwig, the Chief of the Air Quality Division, denied the permit for the plant. On Feb. 11, 2011, the Department of Natural Resources said it expects to approve the Wolverine Clean Energy Venture. In separate decisions in December 2010 and February 2011, local judges said the DNRE couldn't legally use "need" as a factor in deciding or denying air permits. On December 17, 2013, CEO Eric Baker told a group of community leaders that the project was cancelled due to the difficulty the company would face in meeting stringent environmental standards. The decision followed a suspension of work on the project in January 2012. The company reported that 25 million dollars had been expended on the project. On July 20, 2006, the Presque Isle County Planning Commission approved a special use permit for the project, with a vote of 7-2. 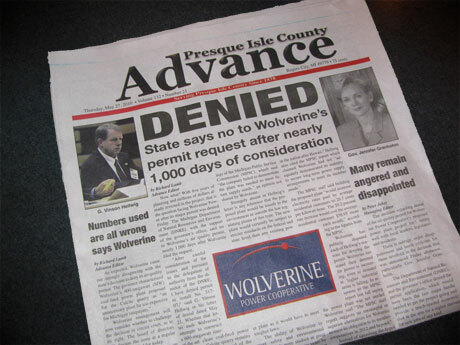 On June 1, 2007, Wolverine formed a citizen advisory group for the project, holding a meeting in Rogers City. On Dec. 6, the Wolverine Board of Directors approved a development budget and selected a development team for the project. In January 2008, an economic analysis of the plant found that Wolverine would have to more than double its electric rates if the proposed new facility goes into operation, and that new conservation and efficiency programs will decrease demand for electricity from the proposed plant. The Air Quality division of the Michigan Department of Environmental Quality (DEQ) is still working on a draft air permit for the plant. In August 2008, Wolverine Power Cooperative completed its air permit application by turning in MACT determinations to the Michigan DEQ. There is no projected timeline for when the draft air permit will be issued. In October, 2008, 600 citizens showed up for hearings on a preliminary draft permit for the plant. Most appeared to favor the proposal, but several spoke in opposition. If the permit had been approved, it would have been the first approval of a predominantly petroleum-coke fired, utility-scale power plant in the state. Pet coke is a waste product from oil refineries. Although cheaper than coal, it has even more environmental problems, containing more toxic heavy metals, generating more toxic ash, and emitting more sulfur dioxide and nitrogen oxides, which cause a number of health and environmental problems. On February 3, 2009, in her State of the State address, Governor Granholm asked the Michigan DEQ to halt the permitting process for seven proposed power plants, pending an analysis of Michigan's future energy needs and clean energy alternatives. On April 7, 2009 the Michigan DEQ formally requested that Wolverine Power Cooperative submit an alternatives analysis to the DEQ. The DEQ estimates it will issue a final decision on the air permit in the last quarter of 2009. In June 2009, Wolverine submitted its analysis of alternatives to the proposed coal plant. In its report, the co-op identified biomass as the most preferable alternative, saying the plant could meet about 20 percent of its fuel needs through biomass combustion. The Michigan PSC is taking public comment on the Wolverine plan. Critics have referred to the Wolvernine filings so far as "fluff". The report may be accessed thru the Michigan Public Service Commission. Critics maintained that the analysis offered little in specifics, did not adaquately consider alternatives to the plant, did not correctly assess the impact of lowered natural gas prices, and over-estimated the rise in electrical demand, in light of Michigan's economic challenges. Now a new report by Synapse Energy Economics has provided a detailed critique of Wolverine's analysis. According to thereport,"Wolverine badly underestimated the cost of building and operating its proposed coal plant and significantly overestimated the cost of using more wind energy, energy efficiency, and natural gas to meet its customers’ needs." Representative Bart Stupak, the democratic House member whose district includes the Alpena/Roger's City area, wrote a letter to Governor Granholm, cautioning her that without timely approval of the Air quality permit for this project, the state might lose out on government research funds. According to the letter, as reported in the Bay City Times, "the project received a $2.7 million federal grant in October for an industrial carbon capture and sequestration project to accompany the proposed plant. An additional $147 million in federal funding for the project is possible if the Michigan Department of Natural Resources and Environment issues the permit by March 31." "“While we must invest in our state’s renewable energy sector, we cannot do so at the exclusion of power sources currently meeting the energy needs of businesses and households in our state. The plant in Rogers City would not only meet these needs, it would be cleaner and greener than most existing power plants in Michigan." Michigan residents and businesses will be spared astronomical rate increases after the denial of a permit for the Wolverine Power Supply Cooperative’s proposed new 600 megawatt coal-fired power plant in Rogers City. The Michigan Environmental Council (MEC) applauded the decision, announced today by the Michigan Department of Natural Resources and Environment (DNRE). The DNRE denied the permit on the grounds that Wolverine had not demonstrated a need for the plant, nor fulfilled its legal obligation to consider other alternatives. A finding from the state Public Service Commission staff estimates the new plant would have increased electric rates 59.7 percent. That would cost the average residential customer an additional $77 per month. On Feb. 11, 2011, the Department of Natural Resources said Holland's Board of Public Works can build the James De Young Generation Station Expansion, and that it expects to approve the Wolverine Clean Energy Venture. Both plants had been denied air-quality permits last year under an order issued by Gov. Jennifer Granholm, who ordered the agency to assess the need for new electric power and whether there were ways to produce it other than coal, which produces greenhouse gases and other pollutants. Both plants failed the need test, and the state found that the new plants would raise customers' rates. The companies appealed and, in separate decisions in December 2010 and February 2011, local judges said the agency couldn't legally use need as a factor in deciding air permits. The plants still must meet new coal regulations from the Environmental Protection Agency that took effect Jan. 2, 2011. On June 29, 2011, the Michigan Department of Environmental Quality announced that it had approved a Permit to Install for the project. The Permit to Install had been denied in May 2010 due to a failure to demonstrate need, but the Missaukee County Circuit Court ruled in January 2011 that lack of need alone was not a legal basis to deny the permit. • Wolverine failed to demonstrate the need for the proposed facility as the sole source to meet their projected capacity. In particular, long-term purchase power options were not fully explored as part of their analysis. It should be noted that the majority of Wolverine’s long-term projected capacity need is based upon the expiration of power purchases (540 MW) on or before December 31, 2011. Wolverine has presented no evidence that the capacity currently supporting this existing contract will be unavailable in the future. The report called the proposed facility "one out of a range of alternatives for Wolverine"
On July 8, comments were filed with the Public Service Commission in regard to the “needs assessment” portion of the feasible and prudent alternatives analysis before DEQ. 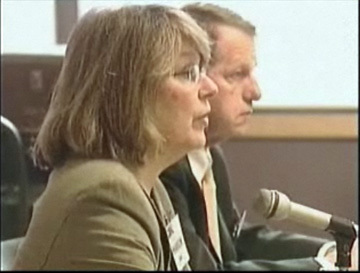 On January 6, 2009, citizen testimony before the Department of Environmental Quality attracted widespread media attention to the coal issue. DEQ Board members respond to Activists. An audience of concerned citizens listened intently. Of particular value to activists, the comments prepared by the Environmental Law and Policy Center, which are available online, and serve as a useful model for those wishing to comment in future DEQ proceedings. was one of many voices that the media heard. Wolverine CEO Eric Baker spoke to a group of 50 community leaders in Rogers City in early September, 2009, and sounded what seemed to be a note of caution about the project. "The next three month period is going to be really telling for our project. I think we will have a good idea of what the future will bring and if we get to the next step. The next hand-wringing exercise is ‘is this a good deal, now, and should we do this and put all this money at risk,” said Baker, according to the Presque Isle County Advance newspaper. According to the paper, "Baker said key to a possible next step, which is a decision by the Wolverine board of directors, is receiving the air quality permit now pending in Lansing at the office of the Michigan Department of Environmental Quality (DEQ)." In February, 2010, The Alpena News wrote that, "..window of opportunity to build the billion dollar proposed power plant in the Carmeuese Quarry might be shrinking faster than anyone imagined." According to the article, Eric Baker, president and CEO of Wolverine Power, said the process had "taken a decided slow-down movement", but the company still plans to build the facility. The article continued, "The window of opportunity is not getting any larger and the state of the economy is definitely not working in our favor. Rogers City, however, remains a world-class site for power generation given the availability of raw materials, lake shipping and the community surrounding the site. We remain committed to this project." The article stated that Wolverine has concerns that the air quality permit could be delayed for some time, but the company "remains optimistic". Mackinaw Center for Public Policy - Conservative "Think Tank"
Michigan Energy Alternatives Project, Tom Karas, logman39 [at] hotmail.com. ↑ Eartha Melzer, "Wolverine power plant permit denied", The Michigan Messenger, May 21, 2010. ↑ Orjiakor Isiogu, Chairman of Michigan Public Service Commission, Notification to Governor Granholm, May 21, 2010. ↑ Electric Reliability Division of the Michigan Public Service Commission, "Wolverine Power Supply Cooperative Electric Generation Alternatives Analysis For Proposed Permit to Install (PTI) No. 317-07 For Circulating Fluidized Bed Coal Boilers at Rogers City, Michigan", September 8, 2009. ↑ G. Vinson Helwig, Letter to Mr Brian Warner, Wolverine Power Supply Cooperative", May 21, 2010. ↑ "Presque Isle Officials Approve Mystery Coal Plant", Great Lakes Bulletin News Service, July 23, 2007. ↑ "In Rogers City, Pushback to Coal Rush," Great Lake Bulletin News Service, November 12, 2008. ↑ "Wolverine co-op analyzes coal plant alternatives," Associated Press, June 9, 2009. ↑ Critics Call Rogers City Coal Plant Study ‘Fluff’ "Jim Dulzo, Michigan Land Use Institute, July 2, 2009"
↑ Study: Rogers City Plant Flunks “Prudent and Feasible” Test"Glenn Puit, Michigan Land Use Institute, July 21, 2009"
↑ U.S. Rep. Stupak says coal plant near Rogers City could lose out on $147 million"Jeff Kart, Bay City Times, Feb. 22 2010"
↑ Wolverine Mum on Coal Plant's Price"Glenn Puitt, Michigan Land Use Institute, June 8, 2009"
↑ Permit denied for proposed coal plant near Rogers City"Tina Lam, Detroit Free Press, May 21, 2010"
↑ Wolverine Power Plant Permit Denied"Eartha Melzer, Michigan Messenger, May 21, 2010"
↑ Staff Report to Michigan Department of Environmental Quality"Michigan Public Service Commission, September 8, 2009"
↑ MPSC report calls CFB plant 'one alternative out of a range of alternatives' for Wolverine"Presque Isle Advance, September 9, 2009"
↑ Wolverine: 'MPSC Staff Report Misses the Mark'"Presque Isle Advance, Sept. 16, 2009"
↑ "Activists oppose coal plant in northern Michigan", Associated Press, January 6, 2009. ↑ "Activists Opposed Coal Plant in Northern Michigan', Associated Press, January 7, 2009"
↑ "Granholm, DEQ Urged to Stop Coal Plants", Lansing City Pulse, January 6, 2009"
↑ "Should coal play role in state's energy future?" 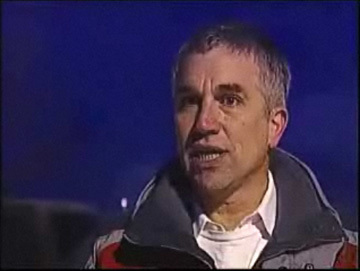 "WJRT-TV, January 7, 2009"
↑ "Environmentalists Calling on Granhom", WNLS TV 6, January 6, 2009. 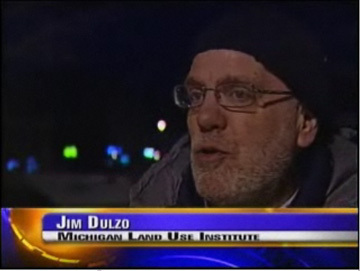 ↑ "Some Northern Michigan Residents Against Coal Plant", TV 25, January 6 2009. ↑ "Proposed coal power plant hearing", Channel 29/8, January 7, 2009. ↑ 41.0 41.1 41.2 Richard Lamb, Progress marked in small steps for leaders of Wolverine", Presque Isle Advance, September 2, 2009. ↑ Wolverine’s clock ticking"Mike Modrzynski, The Alpena News, February 8, 2010"
Wolverine Clean Energy Venture, Wolverine Power corporate overview of project, accessed January 2008. Wolverine's submissions for the Application for Coal-Fired Power Plants, Michigan DEQ, accessed October 2008. This page was last edited on 13 March 2015, at 21:25.